Huh, I was expecting that some question mark values will give multiple solutions to make it some kind of "meta" feeling. Apparently the values of the question marks are forced (other values give *no* solutions). 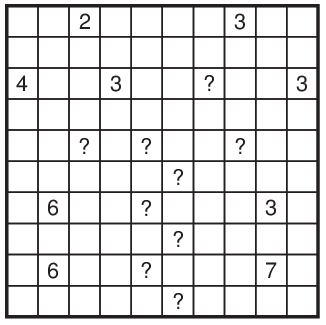 But nice puzzle nevertheless; interesting twist at Nurikabe. glad you liked it. Sorry for the late reply.